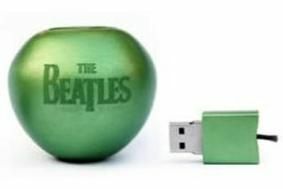 Beatles back catalogue on limited edition USB stick | What Hi-Fi? You also get 13 mini-documentaries about the albums, orginal UK album art, photos and extended sleeve-notes. The 16MB device also features a specially designed Flash interface, is compatible with both PCs and Macs, and is available for pre-order now at The Beatles' online shop.